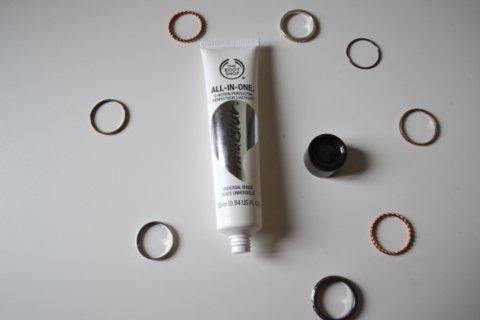 Helen Rambles On: The Body Shop All In One Instablur - Reviewed! By now i've tried a lot of primers; some are good, some are terrible. Either way, I still find myself on the hunt for the perfect one. When I heard about this new release from the body shop it really caught my attention. The fact that it claimed to give 12 hour shine control and even help to hid blemishes made sure that I needed to try it. The packaging is nice as simple; I love anything black and white. The tube makes the product easy to dispense since the product is thick too much doesn't come out. Now the first thing about this is that it does have a bit of a silicone feeling to it which I normally am not a fan of, however i've managed to get past that. 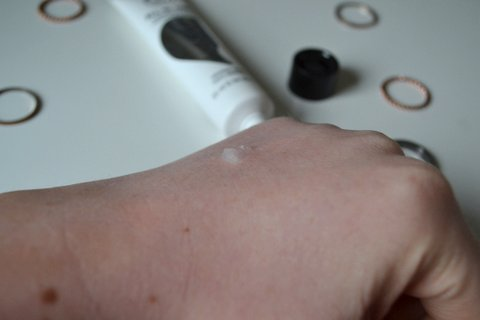 Although it does have the silicone feeling it smooths onto the skin nicely; you only need a pea sized amount of product to cover the whole face. After application the skin feels smooth and prepped for your base product. You could even use this without applying makeup on top just to smooth the skin and control oil. If you do use it as a primer, my base applies really nicely onto the skin; I find it sits nicer and looks more flawless. For me I don't think it blurs imperfections however the best thing about this is that it really does control oil. I've found my makeup not only lasts longer when I use this but my t-zone and chin are a lot less oily. I think this would work for most skintypes as it isn't drying but it will be especially good on oily skin and those who struggle to keep oil at bay during the day. 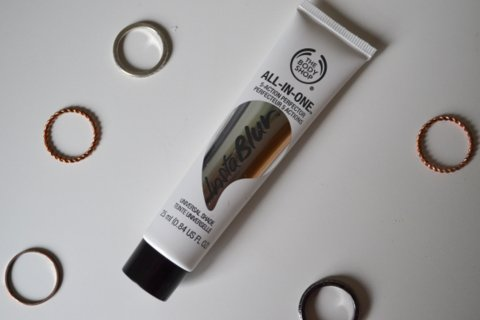 It's not the most affordable primer but you don't need a lot of product and The Body Shop always have great deals online. The Body Shop All In One Instablur retails for £14.00 for 25ml. Have you tried this? 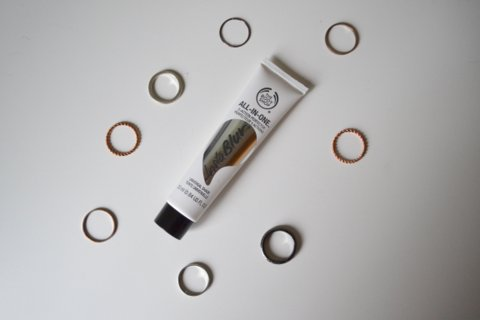 What is your favourite primer for oil control? I always find it takes me a while to get over that silicone feeling too! Had the same problem with my babyskin, but now I love it!